SEE OUR RECENT REVIEW THAT MADE US GLOW! I just came home to find my order delivered by Steven, who I met the other day when delivering to a neighbour. Everything was just right, and I am now sitting by my lovely fire. I have had many struggles with various companies this week who have not done the right thing. I was weary and already imagining this delivery would also go wrong. It did not. It was just perfect! Helen took time to take all the details by phone so she could offer me a quick delivery day. She also took the time to listen to my special requests for the delivery and promised she would give my delivery to the driver who had been here before, Steven. When I met Steven delivering to my neighbours, he was friendly and informative. He had a look at the place I needed my delivery put and told me that it could easily be done. Businesses like yours must be supported as they are rare these days. I will be buying all my wood, and Hotties which I love, from you going forward. It is not much, but I will also enthusiastically recommend you to everyone I know. Thanks very much for making this Saturday in the rain easy to manage. May you all have a peaceful holiday. 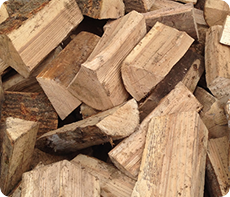 Best quality seasoned and kiln dry firewood logs. Based on hardwoods like Ash, Beach, & Oak etc. 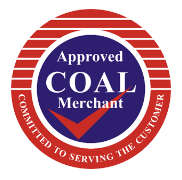 As a full member of the ACMA we buy in bulk direct from coal collieries in the UK. This enables us to provide premium coal at cheap prices to our trade and public customers. We produce our own BBQ charcoal from our own designed charcoal retorts. 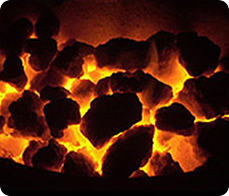 The premium lump charcoal is of finest quality with quick ignition and hot and long burn time. In 3kg and 6kg bags. 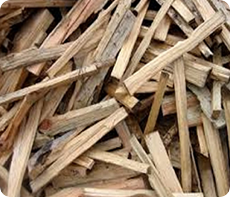 As a by product we also produce our own BIO CHAR products. My second order with yourselves. Very impressed so far, I think your firelighters are first class, very neatly delivered. Such lovely logs - almost seems a shame to burn them! We were out when the delivery came. We found the logs beautifully stacked in our shed. Excellent service. Delivery driver very obliging. Placed delivery exactly where we wanted. Product is top notch - very well burning, consistently high quality and nicely dry. The best would I've burnt on my log burner in years. Great service. Very helpful and courteous delivery man. Thank you. Really good quality wood all the way through the bag and very courteously placed on the drive. Keep the summer sales going and you’ll have a customer for life. Good work team – well pleased! Your service was first class! Thank you for your prompt service, friendly contacts with office staff and delivery driver. Thanks for your help, we will back at some stage as I like the service and setup you provide. Very pleased---- good quality hardwood logs. Excellent service ---- Gentleman who delivered went out of his way to place the bag down the drive.Quick delivery also. All went smoothly and driver packed logs neatly in garage. I am very pleased with the quality of the logs. I have not tried the coal yet but I am sure its going to be as good as you say. I was very impressed with the delivery especially the use of the crane lorry and the jumbo bags it makes life much easier, I can relocate them to the log store when am ready. Yes, nice and dry wood, good size to fit fire. Very friendly driver, unloaded in good position for putting away. Very satisfied ....especially with the burn quality of the Ash logs. Very pleased especially with Steve the helpful driver. Great service, dad used to use fourseasonsfuel too and now we have a new fireplace going I knew just where to go! The delivery driver was a delightfully helpful and pleasant person and I would like him to receive my sincerest thanks. Fantastic! Ordering was easy. Delivery was quick. Logs were cut to good sizes and were dry. Delivery driver was excellent, barrowing the bag round the back for us. Have been ordering coal from a coal merchant for years. Delivery not as good so plan to order logs & coal from you next time. Extremely helpful, collected from yard, loaded into car for me. I shall be using Four Seasons on a regular basis during the heating season for my log supplies. 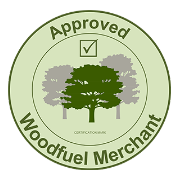 - Absolutely, top drawer quality of bone dry logs at a very fair price. The logs were all cut to a very even length which is important to me as they are stacked in recesses either side of my log burning stove. They fit perfectly. - Your delivery tuck driver/unloader was very cheerful and quick at his job. - I rate my service score at 110%, so I don't think there is much more you can do to improve my buying experiences. 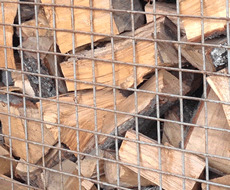 - I also use your charcoal, which is of the best quality I've found in Sussex & Surrey. Both ladies I spoke to on the phone were very helpful. The driver was also very polite and efficient. Easy web transaction, delivered to my drive within two days, and logs in a weather proof bag so no rush to unload - excellent service thank you! 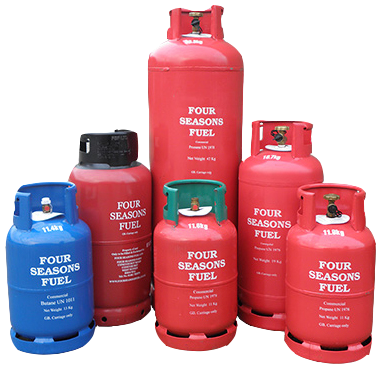 Great service as always - we have been using Four Seasons Fuel since circa 2008 and have always been provided with a fantastic service. 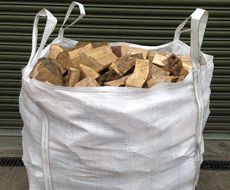 I ordered 10 handy bags of kiln dried logs for collection. They are good quality logs and burn well. Lots of heat. The service provided was great. Good communication from the four seasons team and a friendly driver on drop off. Excellent service even emptied the bags of coal into my bunker. I'm a regular customer having spent around £1,400 with you in the last 12 months. The product is excellent and I am very happy with the service. 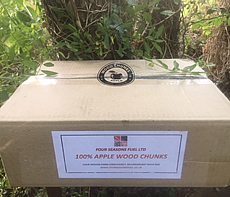 "Just a quick note to say a big thank you to the lovely man who delivered my logs today and also volunteered his help in moving a heavy plant from my car into my house. Really appreciated him going the extra mile and giving great customer service." The ash wood was so dry and great quality, I just can't wait to start the first year fire this winter. The delivery service was first class. will be ordering more soon..